Just like Australians looking to get into the property market, possums are facing their own unique housing problems. Possums rely on large tree-hollows to make their homes, but these hollows can take over 100 years to form. Combine this with habitat clearing and possums are finding it even harder to find the perfect home. With possums in peril, organisations like WIRES advocate for people to install nest-boxes to keep them safe and out of our own homes. Helping our fellow Aussies find a home is great, but what if nest-boxes are doing more harm than good? Are nest-boxes for possums a hollow gesture? Recent research lead by Jessica Rowland at the University of Melbourne looked into the temperature suitability of nesting boxes for four different species of possums. The research team compared the temperatures in nest-boxes and tree-hollows during summer and winter to see which ones provided the best living conditions across the seasons. Temperatures inside the nest-boxes fluctuated greatly compared to tree-hollows. This is because the nest-boxes responded strongly to changes in sunlight and outside temperature. On average nest-boxes were 8oC warmer than tree-hollows in summer and 3°C warmer in winter. 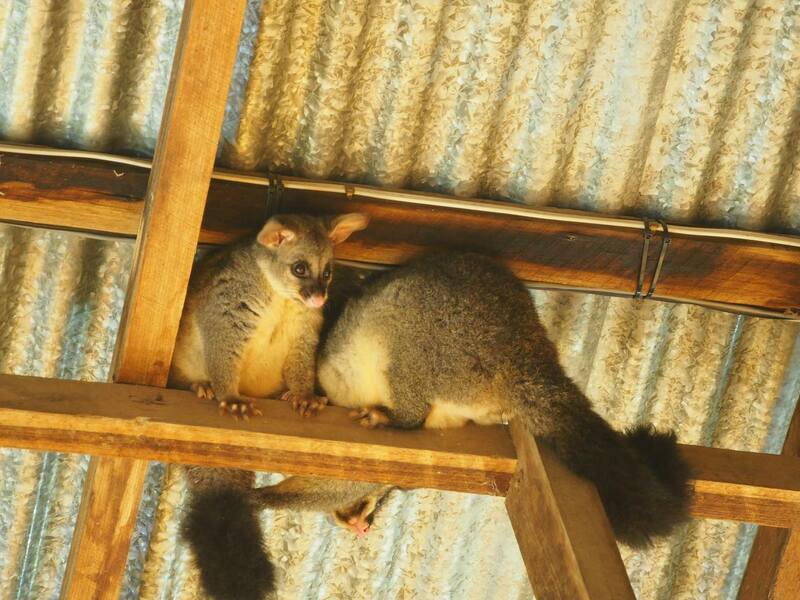 Common brushtails seeking shelter in the Woolshed at Mulligan’s Flat. In summer possums seek shelter so they can cool their bodies down, avoiding heat-stress and dehydration which can lead to death. Rowland and colleagues found that large species like common brushtails and common ringtails needed to expend up to 2.4 times more heat energy to cool themselves in nest-boxes than in tree-hollows. In winter nest-boxes were beneficial because their warmer temperatures reduced the amount of energy possums needed to expend to keep warm. The result, nest-boxes do not stack up to tree-hollows in summer, but they are valuable over the winter months. Nest-boxes definitely provide benefits over winter, but that still leaves the problem of homeless possums in summer. To fix this problem Jessica Rowland is part of another team of researchers lead by Stephen Griffiths who have been looking at ways to re-invent the nest-box. The research team tested three different coloured nest-boxes (white, light-green, and dark-green) to see if the colour of the nest-boxes had an effect on the internal temperature they maintain. They found that light coloured boxes were the best at reflecting heat during summer and dark coloured boxes retained heat well in winter. Other factors including box design, placement, and the amount of shade boxes received also influenced the internal temperature of the nest-boxes. How can we help homeless possums? Possums are protected animals in Australia and it is illegal to trap them without a licence. For help with possum problems you can contact WIRES on 1300 094 737, the RSPCA, or your local government to find out what to do. This entry was posted in environment and conservation, SCOM8014 and tagged conservation, nest-boxes, possums, tree-hollows. Bookmark the permalink.